The origin of the word and custom is always under debate. Did it come from the Anglo-Saxon word Haleg Monath, meaning Holy month? Did it come from the Gaelic word meaning New Morning—oge maidne? Did it come from the Scandinavian word Hoggo-nott? Did it come from the French word Homme est ne, meaning man is born? Some believe it came with the Norsemen, the history based in Celtic religion while others believe it dates back to the Picts. Regardless of where it began it has been celebrated for centuries, remains an important date on the Scottish Calendar, and is steeped in traditions. Perhaps the most common is First Footing. After midnight neighbors visit each other bringing gifts. The first guest who crosses the threshold, preferably someone tall, dark and handsome, brings luck for the new year. They bear gifts of coal, black bun (fruit cake) shortbread and an ample supply of whisky. If a red-haired man or worse, a red-haired lady is the first to cross the threshold, it is considered bad luck. As with many Celtic festivals, bonfires are lit as a means of cleansing and to drive away evil spirits. Children visited neighbors hoping for gifts. Among the traditions is a good spring cleaning called redding. Homes are cleaned, ashes removed from the hearth and debts paid. In preparation for the new year. And let’s not forget the singing of Robbie Burn’s version of Auld Lang Syne. C.S. Lewis first captivated B. J.’s imagination in the fourth grade, and her desire to write sprang from there. 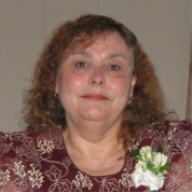 Following a career in nursing and child and youth work, B.J. married her knight-in-shining-armor, and he whisked her away to his castle by the sea. In reality, they share their century-old home in a small Canadian town on the shore of Lake Erie with four dogs and a cat. When she is not working at her childcare job, on her small business, or writing, you will find her reading, doing a variety of hand crafts, camping, or antique hunting. To win your choice of either of her books, be sure to leave a comment. The winner will be notified if contact information is left, or check the Winners' section on the right on Wednesday. Here is an excerpt from her latest book HIGHLAND QUEST. Regrets? He had those, too. “Fallon.” He whispered her name then heaved a ragged sigh. He could see her beautiful face, her soft, porcelain-like skin with just a sprinkling of freckles across her nose. Raven tresses hanging loose in a riot of curls down her back. Her petite, slender body had just the right curves to drive a man wild with desire. Mysterious sapphire eyes that held him captive and a heart-shaped mouth he’d never tire of kissing. If he had one wish before he died, it would be to hold her in his arms one more time, to find himself nestled between her thighs, making love until neither of them could take anymore. 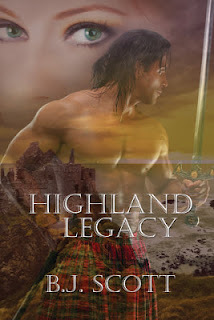 But he’d missed his chance when she left Fraser Castle after his brother’s wedding, returning with her clan to their home in the borderlands. 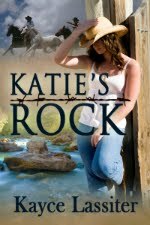 Determined not to allow Fallon, or any woman, to breach the protective wall he’d built around his heart, he’d let her go. A restless spirit, he longed for adventure. While he admired his two older brothers, he was tired of living in their shadows. Alasdair had turned down the position of Laird when their father and older brother were killed at Berwick on Tweed. Connor, the next in line, had accepted the responsibility and did the Clan proud. He was happily married and Bryce was certain his wee son, Andrew, would be raised to follow in his father’s footsteps. Bryce held no land or title. Until he had made a name for himself and earned these things, he had nothing to offer a wife. But marriage and family were not part of his immediate plans. He loved women, all women. Be they large, small, short, tall, fair, or plain, it made no difference as long as they were willing to warm his bed, and expected no long-term commitment in return. A rogue many would say, but he made no secret of his intentions. So far, this way of life had served him well, and should he die in battle, he’d leave no one behind to mourn his loss. When he was a lad of sixteen, he’d made the mistake of falling for the daughter of the village smithy. Totally enamored with each other, they’d vowed their eternal love and he believed they’d marry some day. He swallowed hard at the ball of emotion rising in his throat, and clenched his teeth against the sudden ache gripping his heart. He’d heard when a man is about to die, his life experiences flash before his eyes. But some memories were far too painful to revisit. He balled his fists at his sides, his nails digging into his palms. He didn’t want to think about the past and didn’t want a woman in his life. 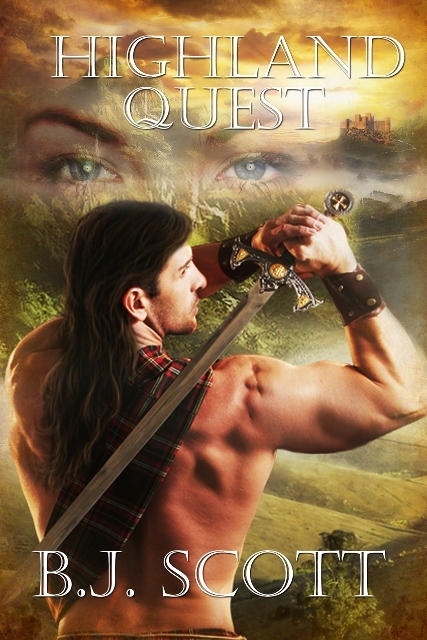 While Fallon was the only lass who had tempted him to stray from his chosen path, she was better off without him. Or so he’d told himself when he returned from a morning ride to learn she’d left Fraser Castle without saying goodbye. Clinging to the memory of their brief time together, Bryce closed his eyes and waited for death to take him. But distant voices and the sound of approaching footfall alerted him to the fact that he was no longer alone. “Aye, he’s alive, but for how long? The lad has lost a lot of blood,” another man commented and clucked his tongue. Hovering on the edge of consciousness, Bryce heard the conversation going on between two men, maybe more. He tried to open his eyes, but the lids proved too heavy. Judging by the familiar burr, these men were Scottish, but so were the traitorous bastards who had attacked them. For a sennight, he’d ridden day and night. However in the end, he was too late to warn the Bruce’s brothers and their small group of Irish and Scottish islanders of the impending threat. Rushing headlong into an ambush and outnumbered four to one, their fate was sealed. This wasn’t the first time the MacDougall Clan sided with the English. Staunch supporters of John Comyn’s bid for the Scottish crown, they’d turned their swords and their loyalty against their countrymen when Comyn was murdered at Grey Fryer’s Abbey and Robert the Bruce was accused of the deed. After the massacre at Methven—the last major battle fought between the English and the Bruce before he went into hiding—the buggers lay in wait, attacking the Scottish survivors as they tried to make their way to the Argyle Mountains to regroup. The battle of Dail Righ would forever be a stain on the MacDougall clan’s name, and a battle Bryce would long remember. Nor would he forget their leader. Today he’d had the long-awaited chance to make good on his oath to see the blackguard pay for his treasonous acts, but he’d failed. Instead, he’d found himself on the receiving end of Dungal’s sword. “I canna believe Scots would kill Scots. These poor fellows dinna have a prayer of making it to shore unharmed,” the first man said. A dizzying wave of excruciating pain shot through Bryce’s chest as he was rolled onto to his side. “I’ll be surprised if he survives the journey. But we can always bury him along the way if need be,” the second man responded. 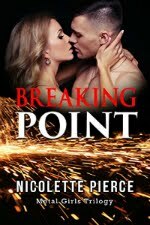 Strong hands slid beneath Bryce’s shoulders, raising him to a sitting position, then someone grabbed his legs. A few garbled words of protest were all he could manage before darkness closed around him. Be sure to leave a comment for a chance to win! Hi BJ! Thanks for the background on the Scottish New year-it's funny how red hair is "in style" now; whereas it used to be bad luck! 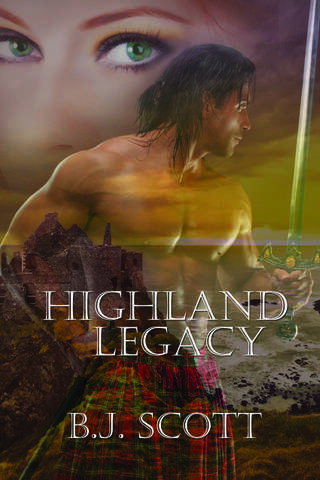 Your cover artist does a fantastic job with the hot highlanders in your stories. I personally like to see a depiction of the hero of a story on the cover versus the heroine...do you think hero vs heroine on the cover makes a difference as to how many readers grab your books off the shelf? I was very pleased with my covers. I like the way the artist has the hero in front yet the eyes of the heroines watching over him. I think given that most romance readers are women the hero as the main focus does help ;) gotta love Jimmy Thomas on any cover. Yes red hair was considered bad luck. I agree about having the hero on the covers. Have added these to my tbr list also. Now where to find a tall dark handsome highlander to cross my threshold/doorjamb come midnight..:) Happy New year Dawn Kunda and bn100. Thanks to everyone who took the time to stop by and leave a comment or just dropped in to read the posts. I know how busy the holdiay season can be and do appreciate your support. Hope everyone has a wonderul new year!